Careers | First Option Software Ltd.
We love technology and we'll let you have fun with it too! Take inspiration from our beautiful surroundings and avoid a long, dull commute. With projects across all industries, we're always enjoying learning new things. With lots of exciting projects coming up, we’re looking to expand our team and are looking for talented, ambitious candidates to fill the following vacancies. We’re looking for people to start ASAP, so just email us your background details or a CV to jobs@bespokesoftware.com and we can kick off the process. In an idyllic part of the Hampshire countryside, lies an awesome and award winning, software development company. The type of software company that delivers incredible projects to prestigious clients, one where every day is different, and where chocolate is delivered to your desk every Thursday. We specialise in bespoke projects, meaning constant variety and excitement with clients that are as diverse as the latest startup investors to some of the most prestigious brands in the country. 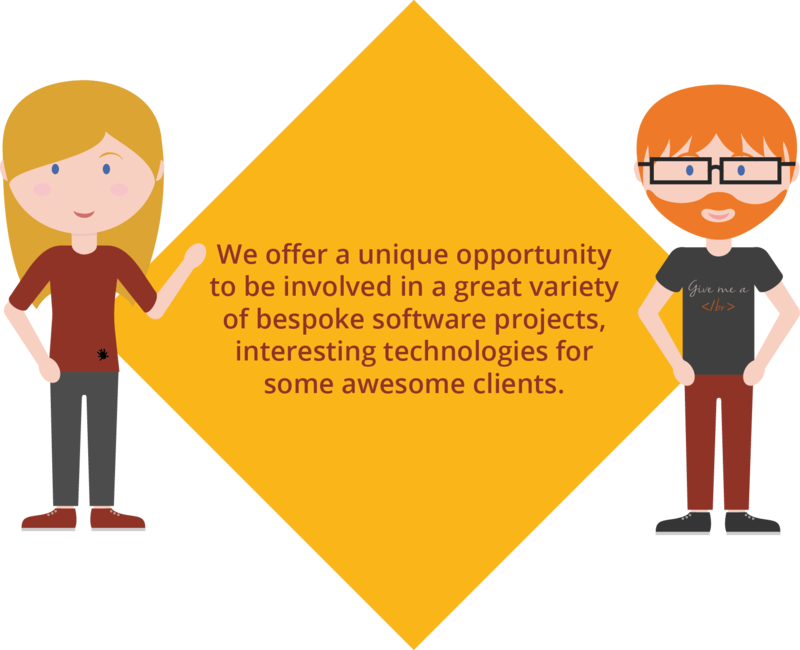 First Option Software are looking to expand its already awesome team of developers. We’re looking for someone who has great ideas, loves problem solving and wants to make a contribution. In return, we offer variety in the work you’ll do and a freedom to shape your own career path. You’ll have plenty of responsibility and influence, will speak with clients and be involved with all aspects of a project. If you’re looking to fade into the background, this job’s not for you! Working on bespoke projects means we are always being challenged to learn new things, whether that be a new technology, market sector or business process. It’s core to our DNA, and problem solving is what we love most, and so we look for like-minded people who are not afraid to work across multiple languages and disciplines and keep up with the latest technologies. Easily accessible by car or public transport from Southampton, Winchester, Basingstoke and the surrounding area, our building and location in Alresford provides the inspiring working environment we need to deliver our exciting projects. With good communication links, some remote working may be agreeable for the right candidate. Interested? We think once you hear more, you’ll agree it’s the best software developer job on the market. Experience in a range of other current and upcoming languages, frameworks and technologies such as Node.js, Angular, Hibernate, Objective C, Kotlin, Xamarin, React etc. We create bespoke software because we know that one size doesn’t fit all. We truly believe that a bespoke approach yields the best results and the same goes for careers at First Option Software. Below are some of the skills that we need but this is a multi-disciplinary industry, so if you feel that you can offer only one, some or all of the skills we need, we want to hear from you. We’ll work together to create a bespoke job role that works for us both.